Southern Tradition assembled firebox kit with veneer block in Tan/Grey Dublin Blend). Includes all components. 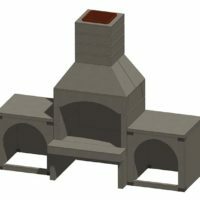 Easy-to-install complete kit featuring a fully assembled firebox, throat and chimney section for the DIY or contractor to have it built by a pro. A welcome addition to any patio for those cool fall or spring evenings. 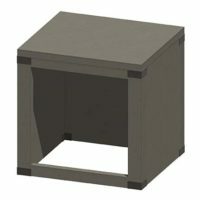 Southern Tradition unassembled firebox kit with veneer block in Tan/Grey Dublin Blend) includes all components. Easy-to-install, step-by-step kit of all necessary components. 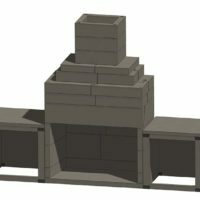 DIY or contractor to have it built by a pro. 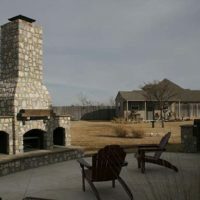 Either way the kit makes an attractive, fully functioning fireplace to your home landscape or patio. ● Weight – approximately 11,500 lbs. ● Assembled kit can be fired the day of assembly. 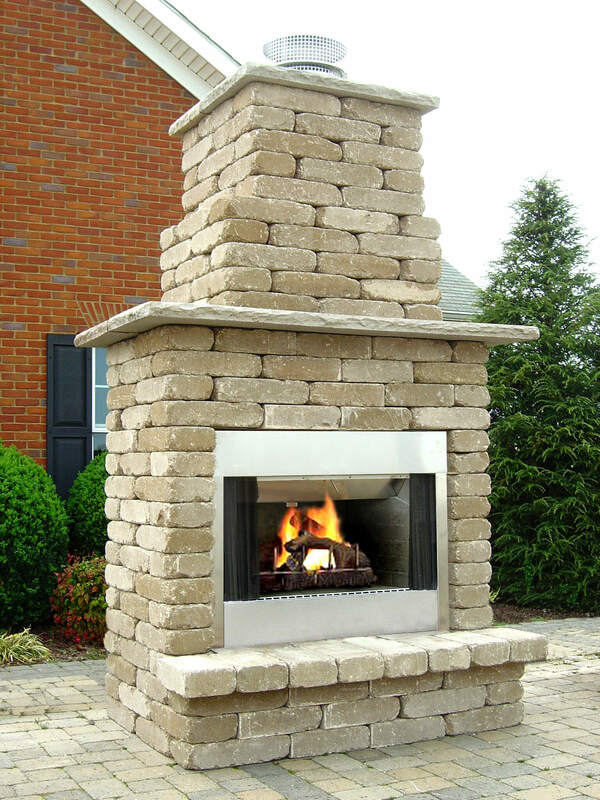 ● All-masonry fireplace kit means long-lasting performance and durability. ● No heavy equipment unless the assembled unit is chosen. It will need to be set onto the foundation pad via forklift @ 1,500 lbs. ● Normal hand tools are all that are needed. ● NO CUTTING OF BLOCK UNITS is necessary. ● Comprehensive step-by-step instruction guide (link to pdf- in dropbox) guarantees great results. ● Increases property value / excellent selling feature. ● Provides additional entertaining space. ● Great ambiance. Whether you have 2 or 20 guests the ambiance will be calm and relaxing. ● Warmth…Fireplaces provide heat on cool evenings. ● More family time. A roaring fire is hard to resist and is a catalyst for good conversation. 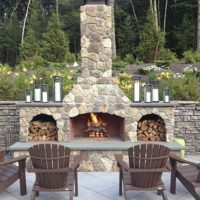 Standard model fireplaces are complete kits, with everything needed to construct the fireplace included except the stone veneer and mortar. 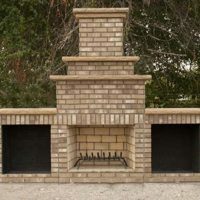 Chimney sections, firebrick, hearth and support legs are all part of the package to simplify preparation and installation. Arched lintels are standard with straight lintels as a no charge option. 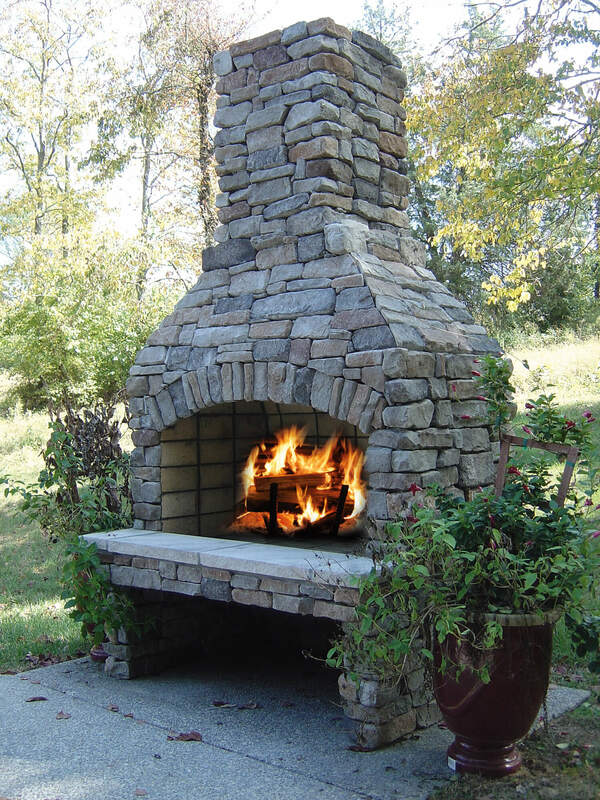 Choices of veneer stone are available on the Mountain Stone Classic Series page. 36-inch fireplace 105 SF/720 lbs. of flats and 30 SF/220 lbs. of corners. 48-inch fireplace 120/865 lbs. SF of flats and 30 SF/220 lbs of corners. 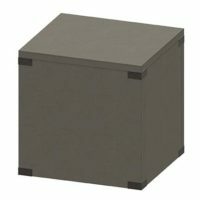 Wood Storage Boxes are available for all Standard, Contractor, Patio and New Age™ series fireplace. 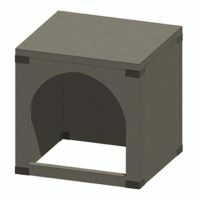 These kits are 36” wide by 36 ”tall, and are offered with an arched, or square opening, and also with a solid front to allow creation of a custom opening by the installer.